Since 1982, we have been providing our clients with unparalleled service, consulting, and design of smart home electronics systems. Not home? Wondering who is at the front door? Having access to your home security footage at all times will give you a well-earned sense of security. Sound is the sense that can breathe life into a memory. Create new experiences with your family or guests. 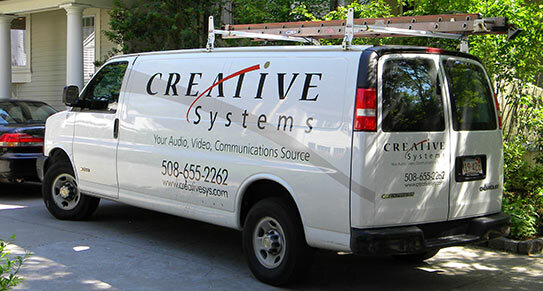 We continuously set the industry standard in design and installation of sophisticated, high-end audio, video, and control systems through advanced engineering, superior installation, and unparalleled service to our clients. Ready to get started? Access your security camera feed, check if you locked the front door, and adjust the temp from any device. You’re truly the master of your home. Beautifully designed as a visual asset to your décor, and helping you save additional energy beyond routine use of shades. Get all your devices connected so you can stream your favorite TV shows, movies or browse the internet right away. With our remote monitoring options, you will never have to worry about getting connected. Providing energy savings and allowing you to control a wide variety of lights using intelligent switch communications. Enjoy “your” music on the patio while another family member is listening to “their” music in the kitchen or streaming the news to your home office. We provide audio, video, and integration solutions to suit a number of corporate applications, plus we offer maintenance and support for all of our equipment. Thank you for your interest. We look forward to hearing from you! Just a reminder, there is no charge for an in-house visit and proposal. from Boston to Brentwood, California. Thanks for all the top notch service." "We had a wonderful, music-filled weekend we had due to the new set-up. Creative did a great job installing and then teaching us the new setup. It is very easy to use. We love the smartphone app feature. Thank you very much for making this happen. It is great to know that you are thoughtful about the client experience and satisfaction. We are your biggest fans!"